This cherry banana cake is amazing! Can I please say it again? This cake is amazing! We can’t get enough of it. I made it every week for the last 6 weeks. First, I did a test run to improve the recipe. Then another just because the cake disappeared before our eyes in less than 48 hours. We shared the cherry banana cake with friends and with neighbours. We shared with big kids, little kids, and adults. We shared it with picky eaters and non-picky eaters. They all loved it. The recipe makes a huge cherry banana cake, so it’s very handy to make when you have lots of guests. A friend of mine gave me the recipe and while her cake was extremely delicious, I could not replicate the recipe to make my cake as good as hers. 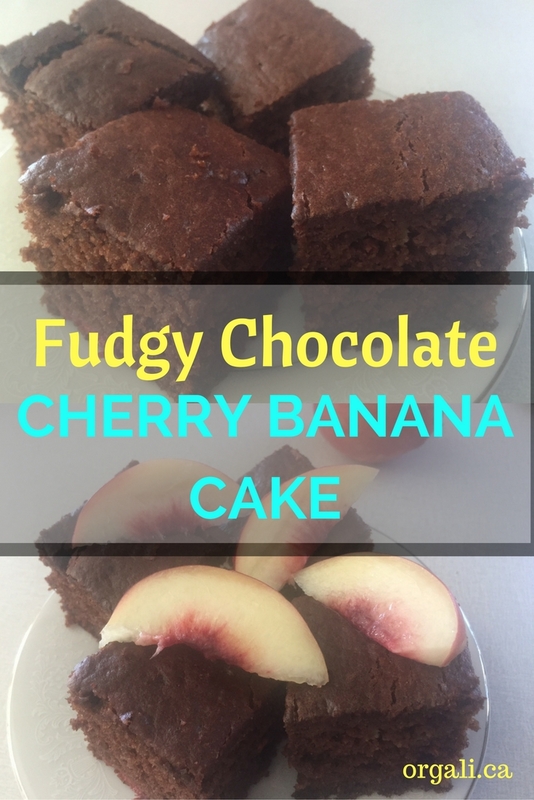 Mine turned out dry and crumbly, so I had to make some changes to the recipe as I wanted to make a moist fudgy cherry banana cake like hers. I added more eggs, more banana, and a new fruit: sour cherries. You can use cherries or berries if you don’t have sour cherries. You can also use frozen fruit as I did, but make sure you let it thaw first and drain the liquid well. This was my first time using a gluten-free flour blend. I usually avoid gluten free flours as many of them have ingredients that I prefer not to use in my baking. Instead I use oat, almond, or coconut flours in my baking. But because I loved my friend’s recipe so much, I bought a gluten-free flour as her recipe required it. If there are no gluten sensitivities in your family, you can use your regular baking flour. I am certain it will turn out well. *Although most of my baking has coconut oil, I have not tried it in this recipe. ** I used frozen sour cherries that I drained very well. You can use fresh sour cherries, cherries, or any berries you like, fresh or frozen. If you use frozen, make sure you drain them well. Don’t squeeze them, just allow them to thaw and then drain the liquid that accumulates at the bottom. Mix the dry ingredients (flour, cacao, coconut palm sugar, cinnamon, sea salt, baking soda) in a big bowl. Add the wet ingredients (eggs, oil, bananas) one at a time. Gently fold in the sour cherries (or whichever fruit you use). Pour the batter in a greased oven-proof 11x15" glass dish. 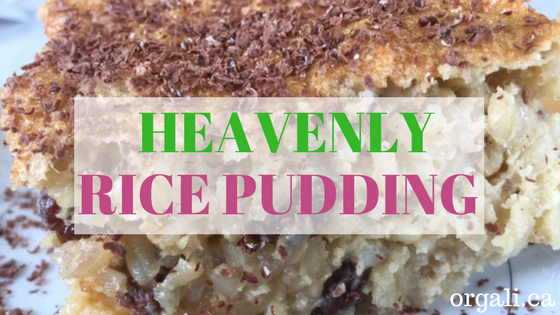 Have I convinced you to make this cherry banana cake for your family? Please let me know how it turned out. I’m not typically a chocolate cake fan but man oh man this looks so good! Nicole, it truly is delicious. I hope you’ll have a chance to make it.